Some time ago I was browsing Netflix; I had one of those days. I did not know what to watch. I mean there is a whole lot to choose from (on Netflix and in my DVD/Blu-ray collection), but I just couldn't find something I was in the mood for. In hindsight these are the best moments for a movie buff, because this is when you find those hidden gems. One of these hidden treasures is the 2012 action/drama movie End of Watch. It's written and directed by David Ayer. I hope that this name rings a bell, because the guy has been involved in the creation some great movies so far. What to think of: "Training Day” (writer, 2001), "Fury" (writer/director, 2014), "Suicide Squad" (writer/director, 2016), "The Fast and The Furious" (writer, 2001), "Bright" (writer/director, 2017), Ü571 and many more. When Ayer was a teenager he left his parents' house and moved in with his cousin in Los Angeles, California (USA). His experiences on the streets of South Central Los Angeles later became an inspiration for a lot of his movies. This is also the case with his experiences in the U.S. Navy, where he was a Submarine Sonar Technician. 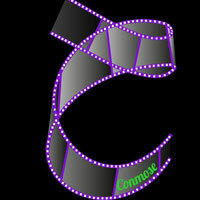 Now let's get back to my End of Watch movie review. What I loved about End of Watch is that it's not only a "police movie", but it is also a movie about the close friendship between the two men. The police work is the framework for the movie, but it also tells the story about the friendship and loyalty. The on-screen chemistry between Gyllenhaal and Peña is great and this certainly adds to the credibility of the story. Especially during the scenes in the patrol car, it's the chemistry between the two that keeps you interested and gives you the feeling that you are really watching best friends having a conversation. The documentary style filming and the use of various video sources (like dashcams, aerial helicopter shots, security cameras and Taylor's cameras) makes the movie all the more realistic and it provides a real proximity to the police officers. For me Jake Gyllenhaal is one of the best actors out there and his performance in this movie only corroborates that fact for me. As for Peña, I have seen some of the other movies he played in, but he never really stood out for me. Well until now...I hope to see some more of him in the near future. 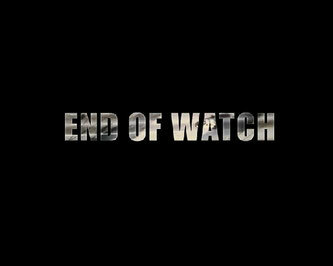 Check out the video below for my video review of End of Watch..